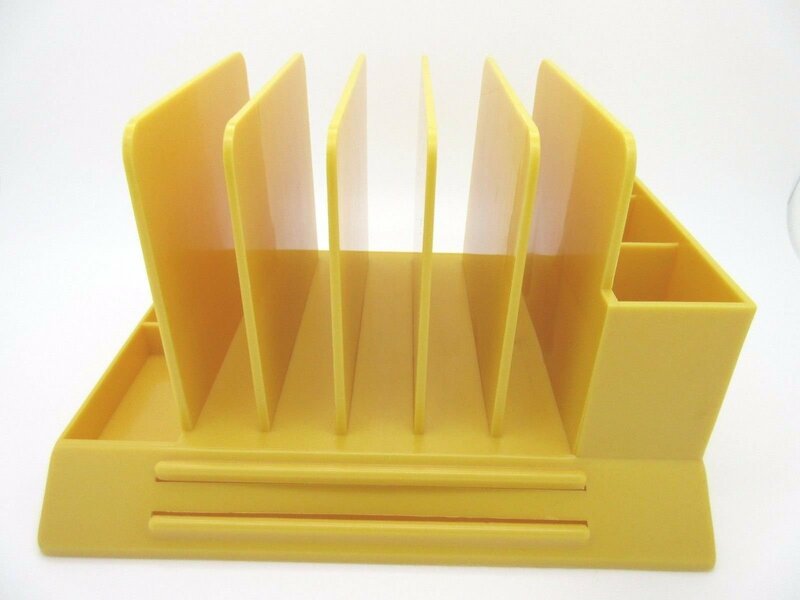 What's a desk without a desk organizer? We love this bright and bold number by industrial designer Max Klein. Klein is known for creating home accessories in a range of materials that were newly developed in the midcentury era, like lucite and plastics.